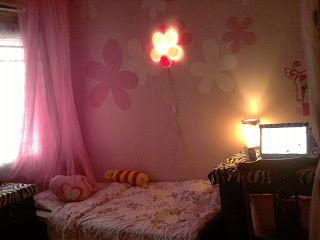 2011 reVamped my PINK room 2 Black n WHITE! 2008-2010 MY ROOM USED TO BE LIKE THIS ! LOL! Try spot my light !! Shiuan Balut the light with a cloth a got from kamdar..
Well,On my table i made my own minature Bed room with mounting board and painted an acrylic art piece at my wall. Of all those painting… My hair turned white ! And so it parts of my legs with white paint spots ! ZOEY n ZOE’s JANUARY NEW STUFFFFSS!! Here are my Favourites !! We brought in neew accesorries !! Shot it with my new mini lamp! Most of my shoots are with spects n guess what are the secrets of wearing framed spects? It makes u LOOK sexier.. Bigger eyes ( cuz it frames eye area) and U LOOK Super SMART!!!! Always switching accesories?Bored of Switching, mixin n MAtching..
Channel Faux TATOO is now in TREND! MOst models, celebrities get these n ITS SUPER expensive cuz they go to SPECIAL AREA get em..
Its been SUPER FREAKING TIRED week ! I got my new contact lens, new tatoo, New ROOMS, NEW CNY Stuffs and most of all….I’m determined to change into a NEW ME this year. To Be more tough- no cry cry, To improve my manners, To improve my EQ-ness etc etc. Many said Rabbit year isnt a good year but to me even there is a bad start , I will end it beautifully. Im gonna be 21 this year , so……………. this blog shall continue my years of nurturing and “blossommin” into who i wanna be ! Thanks for reading ~ HAPPY CHINESE NEW YEAR!